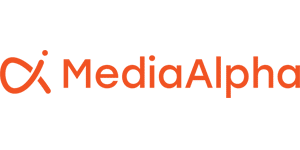 LOS ANGELES (November 15, 2016) — Pioneering advertising technology firm MediaAlpha launched the first programmatic bidding platform for travel comparison search media. The travel expansion, a part of MediaAlpha’s transparent exchange technology platform, empowers travel advertisers and publishers to more efficiently buy and sell comparison search media using technology previously unavailable in the industry. MediaAlpha’s programmatic technology platform innovates the sales funnel by allowing advertisers to target and acquire high intent, bottom of the funnel travel consumers with greater efficiency and scale than previously available. Advanced targeting and bidding strategies, coupled with automated scheduling and optimization, yields more efficient spending and better conversions for advertisers. Publishers, in turn, gain full control over their comparison search inventory, a critical source of revenue, and optimize demand management across all potential buying sources to maximize overall yield.